Duncannon Fort is an impressive presentation of a bastioned fortress perched on the side of the stunning Hook Peninsula, County Wexford, part of Ireland’s Ancient East. This historic structure has gathered countless intriguing and awe inspiring stories over its 450 year history and holds one of the best vantage points to take in the beautiful Waterford Estuary from. Share in these tales and striking views on our guided tour from Friday 1st June to Sunday 2nd September 2018. Open 7 days a week for guided tours. Tours can be booked in advance on this website or you can book on the day. If paying on the day please arrive 10 mins in advance of your preferred tour time. The tour lasts approximately 45 minutes. Please check in with the Tourist Information Office located opposite the beach entrance when you arrive for your tour. *Hook Tourism is a not for profit organisation. All funds raised contribute to providing these guided tours and to the development of tourism on the Hook Peninsula. Click to select your preferred tour date from our calendar and purchase your tickets. Duncannon Fort includes buildings from the 16th Century and onwards; care is necessary when visiting the Fort. Many of the surfaces on this tour are uneven. The tour route includes walking across grassy areas, cobbled stones, and descending and ascending on steep stone steps. We would ask you to plan for this by wearing appropriate footwear. Some of the doorways and walkways are at a low level, you need to be mindful of this when walking through or under. The tour route is not recommended for anyone with mobility issues but if you contact the Tourist Office we can arrange a viewing of the more accessible areas of the Fort. The route also involves accessing some confined spaces, please ask the guide if this is a concern for you. The tour route is not suitable for pushchairs or prams. Guardians of children should be mindful of their safety and ensure they observe all the safety instructions given by your guide. Smoking is strictly forbidden on the grounds of Duncannon Fort. A minimum of 2 persons is required for each tour for health and safety reasons. Guided tours are offered under licence by Hook Rural Tourism, a community organisation working to promote the Hook Peninsula since 1966. 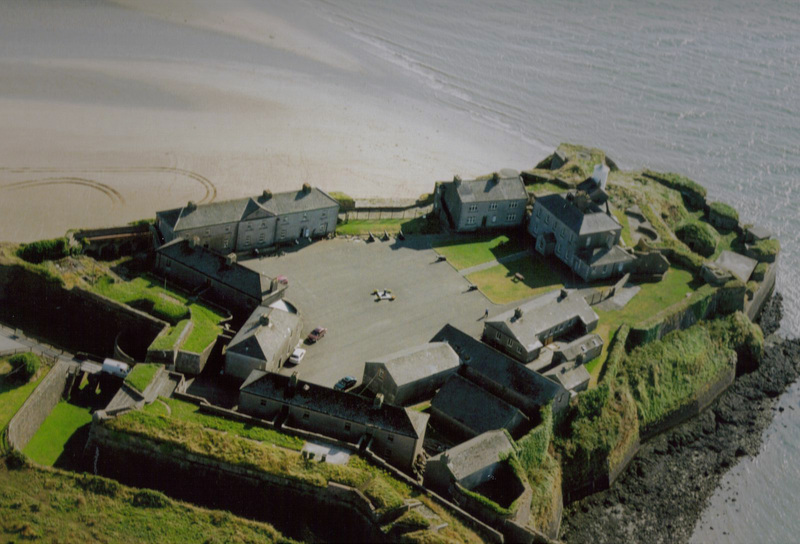 Duncannon Fort is situated in the village of Duncannon on the Hook Peninsula, County Wexford. The village is accessible by car on the R733 from New Ross or Wexford or via the Passage East Car Ferry from Ballyhack. Address: Hook Tourism, Duncannon, New Ross, Co. Wexford. Copyright © Duncannon Fort 2019. All Rights Reserved.